Killer Characters: Tea for Two? I'm Callie Evans. Krista asked me to blog today because I'm new to the Domestic Diva Mysteries, so she asked me to tell you a little bit about myself. I guess you might say I've almost come full circle. I was born and raised in a little town in Virginia. I fled to Florida when I was pretty young, then I moved north to Charlotte, North Carolina, and now I'm back in Virginia, living in Old Town, which I think is about one of the prettiest places I've been. I love these old houses and brick sidewalks. 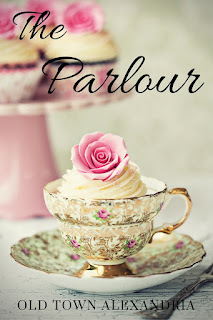 I work at The Parlour. Just when I lost my job, I was walking by and saw a Help Wanted sign in the window. I thought I would be a waitress but there are a couple of things in this world that I do well and one of them is baking. I learned at my uncle's bakery when I was a kid, and I just have a knack for it. 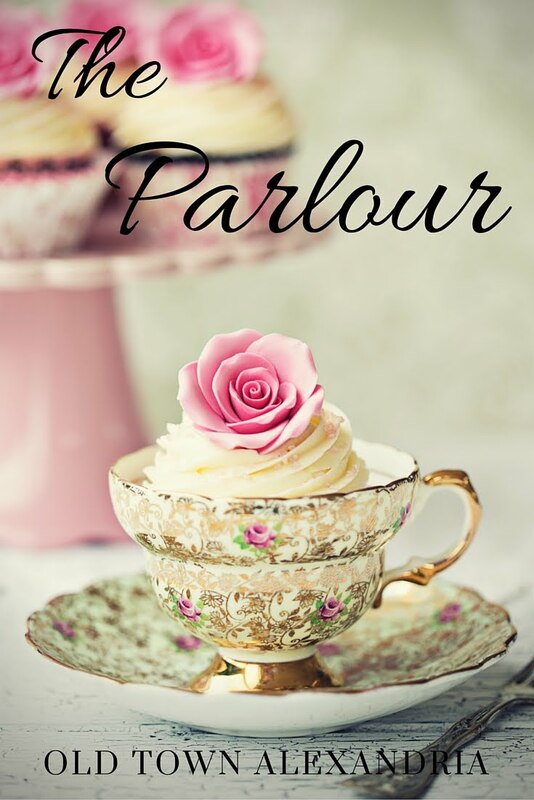 So I bake scones and little cakes for The Parlour. The owner, Martha, is real sweet to me and it's still a startup business so everyone pitches in doin' whatever needs doin'. You know? I wait tables and sell goodies from the case up front and sell takeout tea, too. Tea's a funny thing. I thought it was just plain old tea except for the herbal teas. I know about those because I used to pick chamomile when I was a kid. But there are weird teas, too. We have a couple of customers who want this strange Chinese tea that comes in a compacted block and has to be picked at with a special knife just right to make the tea. Martha tells me the tea ferments and ages in that block and it's kind of like wine, where there are good years and bad years. If you ask me, that sounds like a recipe for mold. But then, I drink screw-top wine, so what do I know? What else am I good at? Well, I guess it's nothing to be proud of but I have a knack for getting involved with the worst kind of men. I've been married twice and had to run away from both of them. I figured I was done with men until Hunter walked into The Parlour. He comes by a lot and Martha says he has an eye for me. Maybe he does. Why else would he keep coming to a tea parlor? Are you a tea drinker? What's your favorite tea? Don't have a favorite? What's the weirdest tea you've had? I do drink tea and I prefer black teas. I really like Heather tea. Wat is Heather Tea? I'm not familiar with it. Is that a brand? I love Chai Tea Lattes and just plain chai tea. I also like Lapsang Souchong (spell check does not like it) tea. 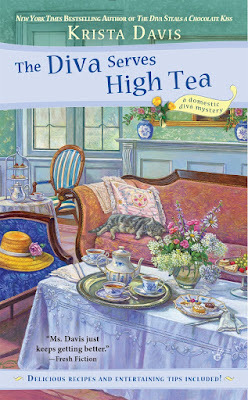 I haven't tried a tea that I haven't liked ~ I can't wait for The Diva Serves High Tea to come out! Fingers crossed that you will like the book, Celia! I like Lapsang Souchong, too. It's very deep and distinctive. Green tea, White tea, Black tea. I have never been able to get into green tea or white tea, Terrie. I just bought some green tea in the hope I might like it better than the others I have tried. LOL! I agree. Those two don't deserve second chances. I'm about to try a new green tea. I'm like you, Kristin, I just haven't been able to love green tea yet. I do like tea. I tend to drink tea in the evening so for me it needs to be herbal . I particularly like ginger peach. I love both leaf and herbal teas and I enjoy them both hot and iced. I think one of my favorites is Chai. I'm not a regular tea drinker. But one of my favorites is Gloria Jean's Christmas tea. my favorite is English Breakfast tea, but I once had a licorice tea which was very good. I drink tea every morning and my favorite is Golden Monkey from Teavana. I like most black teas but I'm not a huge fan of green tea or herbal teas.